We exclusively produce in Germany. Welcome to HORST HANUS e.K. 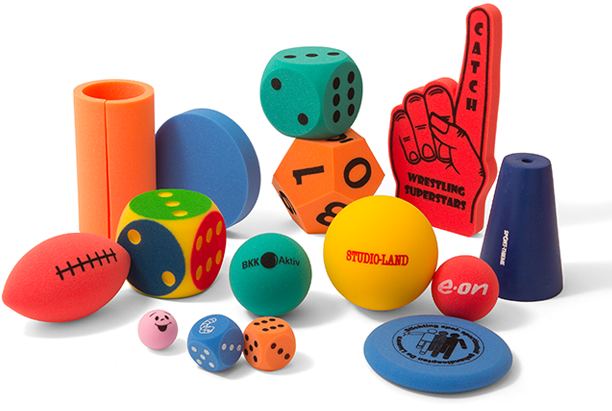 We manufacture foam balls, foam dice, flying discs, giant hands and a lot more products from polyurethane soft foam - a wide range for our customers in promotion and industry. We process polyurethane soft foam in various ways: milling, cutting, stamping, printing, and coating. With extensive experience in the processing of foam we can always respond flexibly and competently to customer needs.